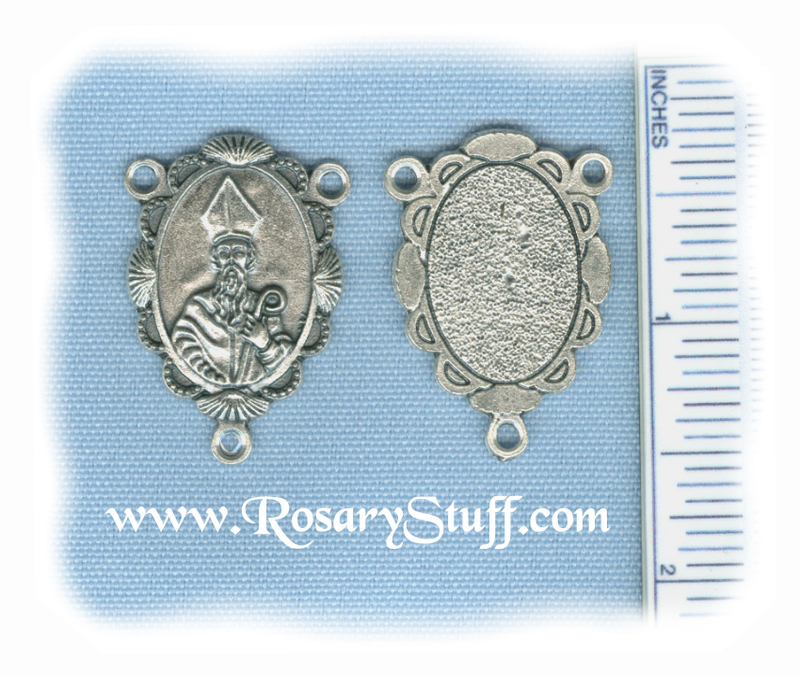 Italian oxidized silver plate oval rosary center featuring Saint Patrick. This centerpiece is 1 1/8 inch tall by just over 7/8 inch wide (not including the rings). Click HERE for more information about St. Patrick including his patronage.